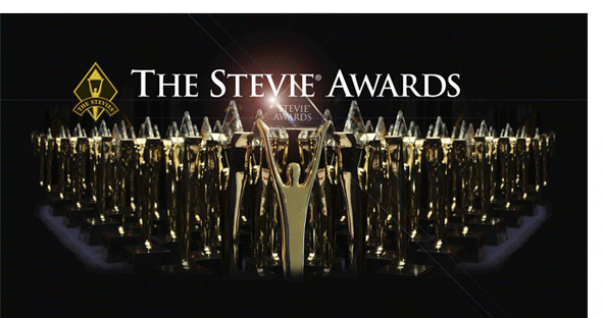 PreCheck, a healthcare exclusive employment and background screening firm, was recognized as a Gold Stevie® Award Winner in first of two ABA awards events presented on June 22, 2015 in Chicago. PreCheck, an employment and background screening firm specializing in the healthcare industry, received a Gold Stevie® Award in the Customer Service Department of the Year category in The 13th Annual American Business Awards™ in Chicago on June 22, 2015. Last night’s awards were presented in two ceremonies, before and after dinner. The after-dinner presentation were broadcast live nationwide by BizTalkRadio. The pre-dinner presentations were taped and will be broadcast by BizTalkRadio this Thursday June 25 at 8:00 pm ET. More than 3,300 nominations from organizations of all sizes and in virtually every industry were submitted this year for consideration in a wide range of categories, including Startup of the Year, Executive of the Year, Best New Product or Service of the Year, Marketing Campaign of the Year, Live Event of the Year, and Human Resources Department of the Year, among others. PreCheck was nominated in the Customer Service Department of the Year category for Advertising, Marketing, and Public Relations, Business Services and Diversified Services. "This award means a tremendous amount to all of the hard working members of the PreCheck family," said Zach Daigle, President and Chief Operating Officer at PreCheck. "Our team members dedicate themselves to taking exceptional care of all those that we serve. We are constantly striving to improve the experience for our loyal clients, and it is gratifying to be recognized for those efforts. This is an award that our passionate people are genuinely deserving of, and should be very proud to receive."